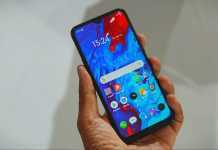 Oppo launched its new smartphone Oppo K1 during an event in New Delhi. This smartphone was launched in China in October 2018. The special feature of this smartphone is that it has an in-display fingerprint sensor. Talking about the other features in the smartphone, it comes with a 6.4-inch amoled display, with a snapdragon 660 processor and a amazing 25-megapixel selfie camera. Oppo has only introduced it in 4GB RAM variants. Oppo K1 Hands on Review. Oppo K1 has been introduced in India only in 4GB RAM and 64GB storage variants. Its price has been kept at Rs 16,990. 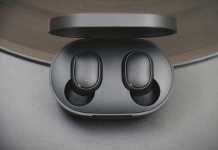 Customers will be able to take it in two color options with Astal Blue and Piano Black. It is expected that the 6GB RAM variants launched in China will be launched soon in India. The sale of this smartphone will start from 12 noon on Flipkart.com from 12 February. Talk about launch offers, Citibank credit and debit card users will get 10 percent instant discount. Also, no-cost EMI will also be available here. Oppo’s new K1 smartphone runs on Android 8.1 Oreo-based ColorOS 5.2. This smartphone has a 6.4-inch (1080×2340 pixels) full-HD + display with 19.5: 9 ratio and 91 percent screen-to-body ratio. This smartphone has an octa-core Qualcomm Snapdragon 660 processor with clock speed up to 2.2GHz with 4GB of RAM. Talking about the section of photography, this smartphone has two cameras of 16 megapixels and 2 megapixel rear. There is a 25 megapixel selfie camera in the front. The internal memory of Oppo K1 is 64GB, which can be increased to 256GB with the help of cards. In terms of connectivity, there is support for 4G VoLTE, Wi-Fi i 802.11 a / b / g / n / ac, Bluetooth 5.0, GPS / A-GPS, and GLONASS. This smartphone has an in-display fingerprint sensor to unlock the phone and has a 3D glass back. Its battery is 3,600mAh. please stay don’t you just know gizmoxo.com sun will share some camera samples of oppo’s K1.